If someone asked you who was Britain’s longest-serving black Caribbean parliamentarian I suppose you wouldn’t have a clue. I didn’t either until I started this blog and researched it and that is why I think it is so important for people to know their history and to learn about influential figures from the past who faced trials and challenges but never let that stop them from making a contribution. The answer, by the way, is Lord David Pitt. Lord Pitt was probably not much different from any other person of Caribbean birth who moved to the UK in the early 20th century, hoping for a better life, but he was obviously filled with a passion to use his talents to help others and that is what he did in the spheres of medicine and politics. Lord Pitt was born in Grenada in 1913 and he came to Britain at the age of 20 after winning a scholarship to study medicine at the University of Edinburgh. As a student he worked hard but he also actively took part in political debates and societies and in 1936 he joined the Labour movement mainly driven by a desire to help the poor working class. When he finished studying Lord Pitt went to Trinidad and Tobago, started his own medical practice and got married. But he also continued his interest in politics and in 1941 was elected to the San Fernando Borough Council. 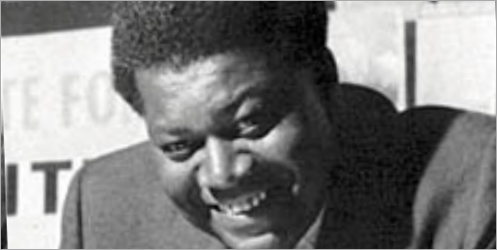 Two years later he became a founding member and leader of the influential West Indian National Party. In 1947 Lord Pitt returned to England and set up a practice in Euston, London. In the 1950s he was involved in local politics and in 1957, after he gave a speech at the Labour Party conference, he was asked to stand as the party’s candidate in the 1959 General Election for the north London constituency of Hampstead. As one of the first black political candidates in the UK, Lord Pitt received death threats and abuse and the campaign became more about his colour than real issues, so it was no surprise when he lost the vote to the white Conservative candidate. 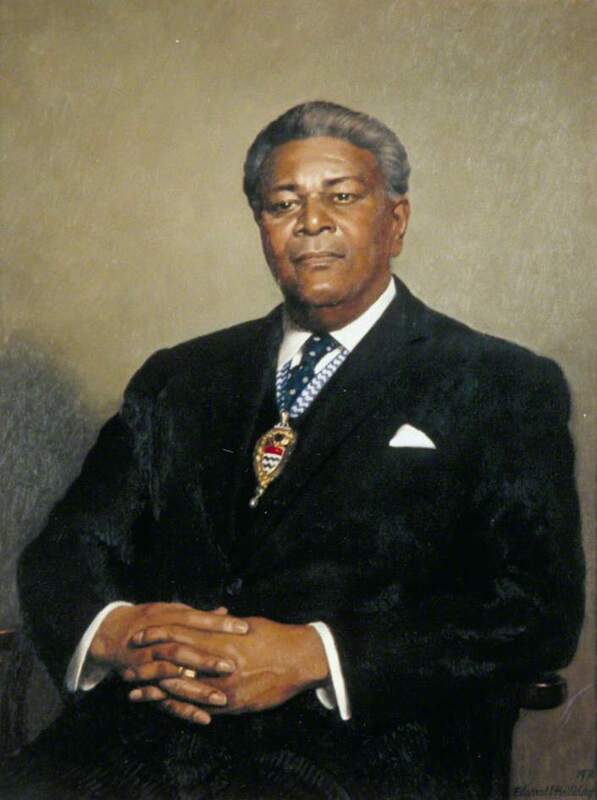 But he did not let defeat deter him and he continued to play an active role in politics, and in 1961 he was elected to the London County Council (which later became the Greater London Council or GLC) as member for Hackney. 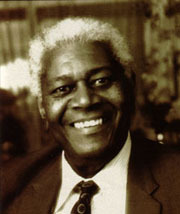 He was deputy chair of the GLC from 1969 to 1970 and in 1974 he was the first black person to chair the GLC. Despite all that he had been through Lord Pitt decided to run for parliament one more time in 1970 as the Labour candidate for the ‘safe’ seat of Clapham. The outcome was inevitable at a time when Enoch Powell was stirring up racial hatred and discrimination and Lord Pitt lost the seat to the Conservatives. In February 1975 Lord Pitt’s long-standing and immense contribution to politics in Britain was recognised by the then Prime Minister Harold Wilson who gave him a life peerage in the Lords and he was created Baron Pitt of Hampstead in Greater London and of Hampstead in Grenada. As a peer he continued to play a significant role in politics especially in shaping the 1976 Race Relations Act and in condemning apartheid in South Africa. In 1985 Lord Pitt was made president of the British Medical Association, which he described as his most valued honour, and this underlines the high esteem he must have been held in by his peers in the medical profession. He died in 1994. Lord Pitt’s political career could have been very different if people had been prepared to look beyond his skin colour but what his achievements over the course of a lifetime ultimately highlight is how important it is not to let other people tell you what you can and can’t do. I have learnt so much from reading about Lord Pitt’s remarkable life but most of all his response to setbacks and knock downs demonstrates to me how important it is to keep moving forward and to use your God-given talents to try to make the world a better place – if not for yourself then for people like you who will come afterwards.